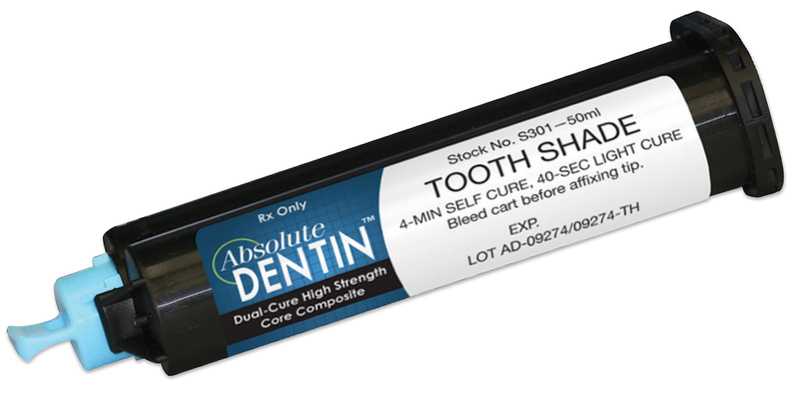 Dual-cure core material with 75% fluoride/barium glass for stable support - 172 MPa flexural strength. Self cures in 4 minutes or light cures in 40 seconds. Radiopaque. Automix cartridge uses DS 50 or DS 74 gun marked 1:1/2:1. Contains: 50ml cartridge, 40 mix tips, 40 intra-oral tips. Mixing tips have yellow hub, clear barrel, and white mixer.